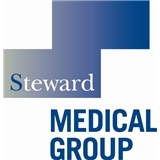 Steward Medical Group (Brighton) - Book Appointment Online! As always, punctual, and efficient yet attentive. Highly recommend Dr Ash. A doctor who pays attention to physical health but progressively also inquires and discusses mental health. Absolutely A+ younger doctor.